Hello there, I hope you’ve had a good week. All these bank holidays of late have confused me no end, I keep losing track of what day we’re on! We are now just six days away from the Med Steps 5 Challenge. If you listened to my latest podcast, published on Monday, you will know that I managed 3 times round on Sunday last week for the first time this year. I’m a bit behind on my training this year, so hopefully adrenaline will give me energy and determination to get round 5 times again next Saturday! May Day was beautiful. We had a truly gorgeous day of sunshine, which was very welcome after two days of very heavy rain at the start of the long weekend. 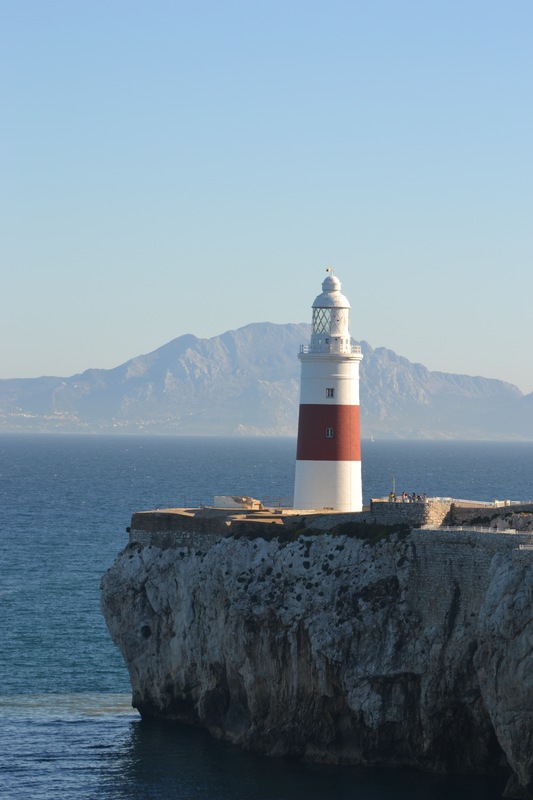 As we drove down towards Europa Point the view across to Morocco was so clear I had to stop and take a few pictures. 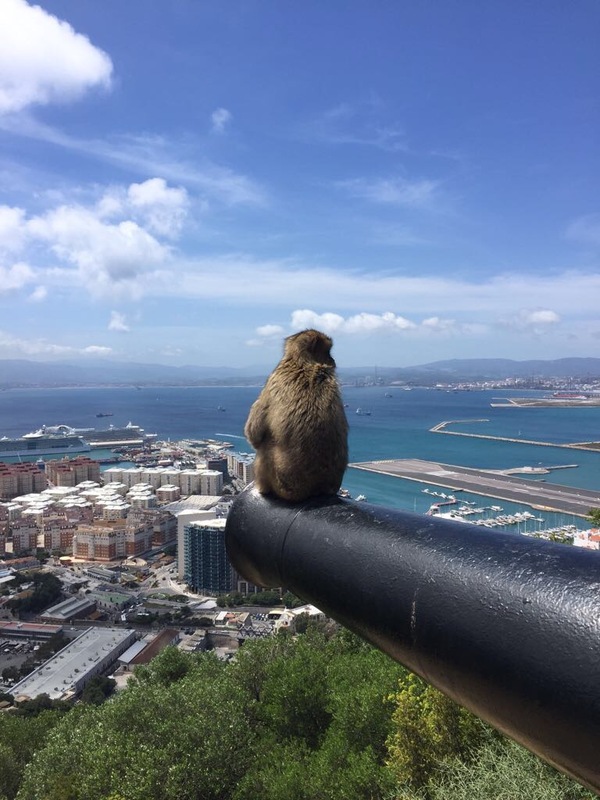 Mr Postcard went for a midweek walk up the Rock and took this fab picture of an ape perched on the end of a cannon. You can’t blame him really it was a top vantage point. I believe it was International Macaque week or something similar this week, so here’s your topical Barbary Macaque picture! My current watercolour project at my watercolour class is a painting of the Med Steps. 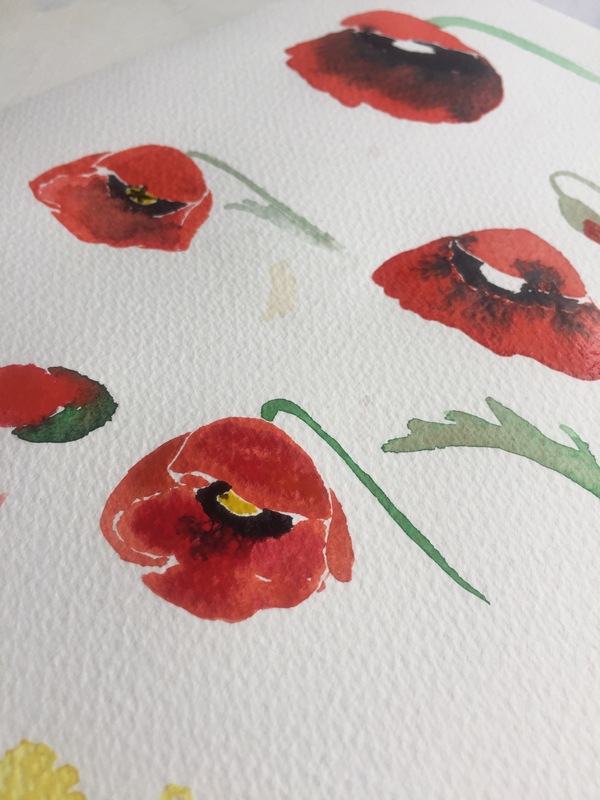 I want to include some of the beautiful spring flowers you can see in the Upper Rock so I’ve been practicing my poppies. The trial runs worked out rather better than the real thing sadly, so I’m going to have to do a bit of fixing at my next lesson. I’m still working on a corner to corner blanket for the Sixty Million Trebles project. It’s a great one to have in a bag when you are out and about as it’s easy to pick up and do just a bit during a quiet moment. I had a bit of time at football training for the Little Postcards this week so got a couple of rows added. 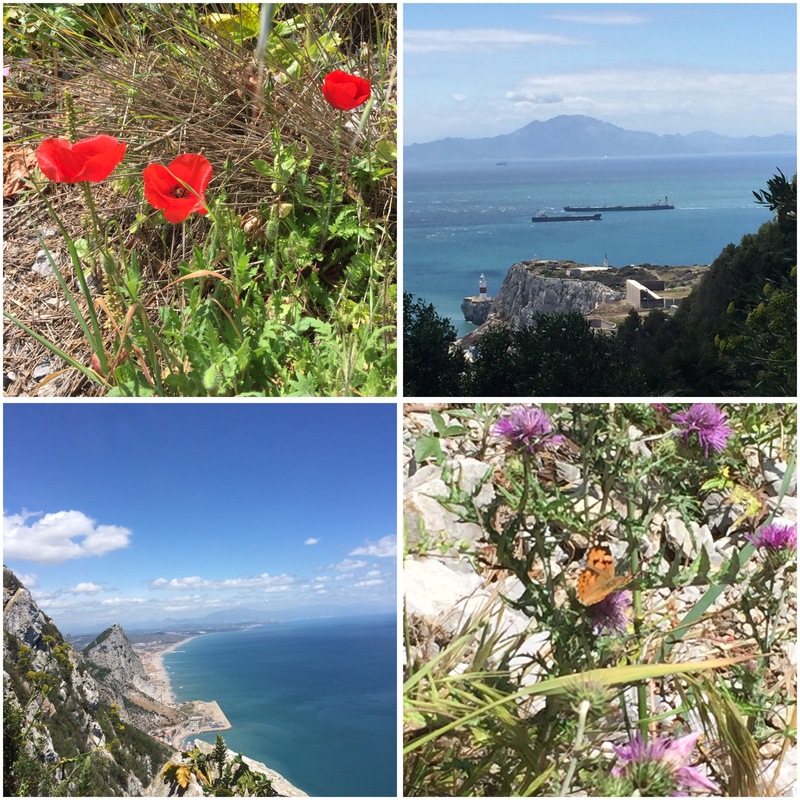 I don’t normally go into Spain on a weekday but on Friday I bit the bullet and headed across the border to do a bit of shopping with Mr Postcard. We have been meaning to pop across for ages to get boring stuff for the house and we took the opportunity to go while the Little Postcards were at school. 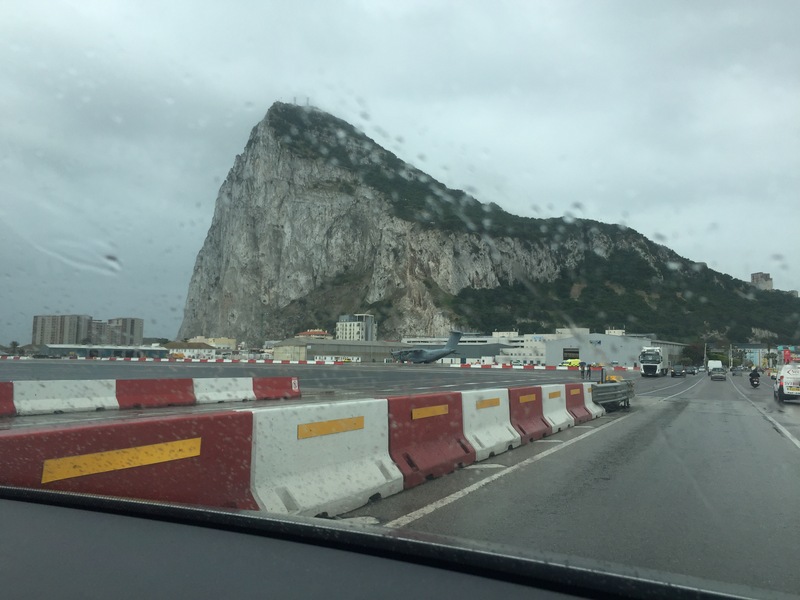 It felt a bit adventurous to leave the country while your kids are at school but we didn’t stray far and were back in plenty of time for school pick up! It was a bit wet by the time we were crossing the runway back into town. 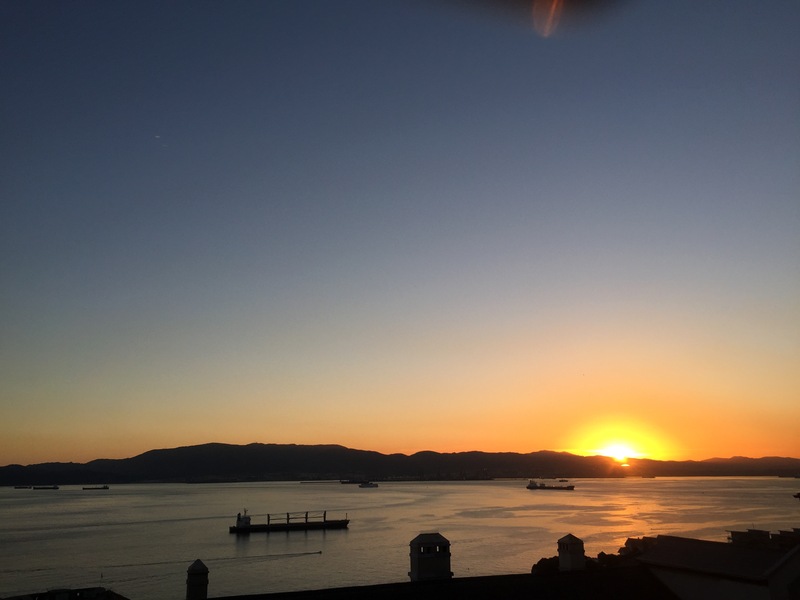 Last Saturday evening we had a lovely sunset, and last night we had another. I’ve noticed, since we moved to this west facing apartment, that we get lots of lovely sunsets in Spring and Autumn, I wonder why that is? 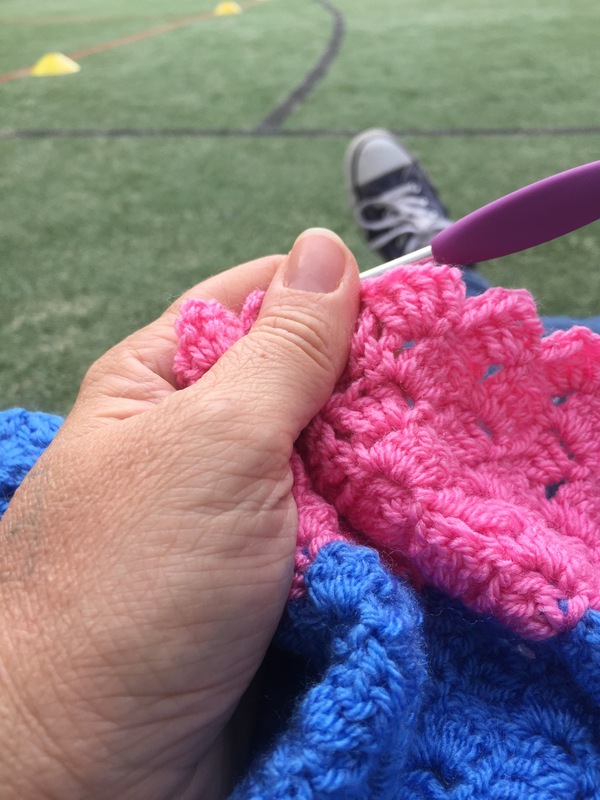 Also this week my crochet buddy Marisa Boselli aka Mariwish on Instagram has launched her first blog. Marisa is a crochet and music teacher, originally from Gibraltar, she now lives with her family in London. Why not pop over and check it out, if you get the chance? What ever you get up to this week, I hope it’s a good one for you! Super poppies! Watercolour is really your thing. Mr P took a good picture too! 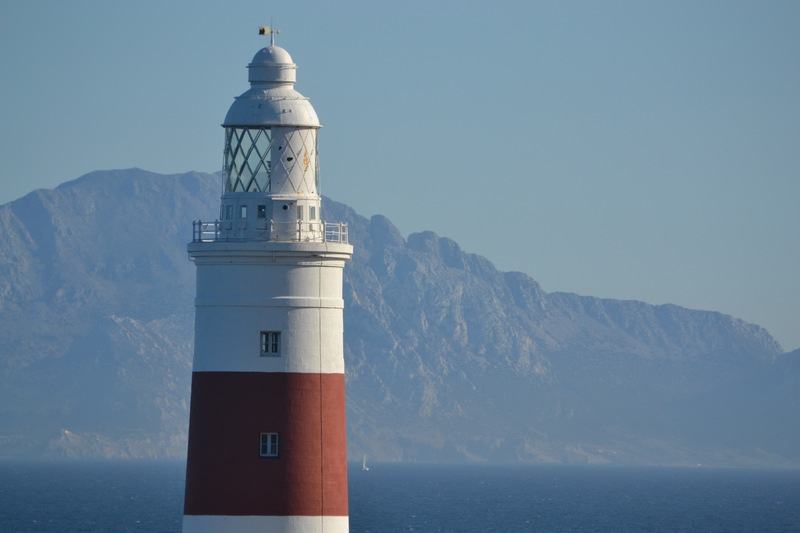 Love the lighthouse one to. Good luck for next week. Thank you Cathy, I think I’m going to need a fair bit of luck – just got in from 3 times round again and it was really hard work!! Heaven knows what the 4th and 5th ones will feel like!! As usual an enjoyable Sunday catch up. Your poppies are great. Love the pic of the ape. Thank you 🙂 I really enjoyed painting them. Sometimes it’s hard work and what you produce is rubbish and at other times it just clicks! I so enjoy your posts, showcasing your lovely surroundings and your talents! Your poppies are just beautiful, and that ape! Good job Mr P did catching that shot. Strolling through your posts now to do a little (a lot?) catching up. Have a great week.